Symbicort (generic name: budesonide and formoterol) is a combination of two different drugs. It contains budesonide, a steroid that reduces inflammation, and formoterol, a bronchodilator that relaxes muscles in the airway. It is used to prevent bronchospasm in patients with asthma and chronic obstructive pulmonary disease (COPD). However, women who are pregnant cannot take Symbicort since its effects on unborn children have not been observed. Symbicort may have some side effects that can inflict damage on the nervous, respiratory, cardiovascular, gastrointestinal, musculoskeletal, metabolic, and endocrine systems. Aside from these, Symbicort has also been observed to affect the eyes and skin. Some patients have also experienced psychiatric disorders, such as anxiety, depression, and aggression, after taking Symbicort. Exercising. It is recommended to get 30 to 60 minutes of exercise per day to help lower blood pressure. Exercises can range from simple routines to muscle training. Aside from lowering blood pressure, exercise has also been linked to improved mood, strength, and balance. It also reduces the risk of diabetes and other heart disease. Quitting smoking. Smoking cigarettes can increase blood pressure for several minutes each. Binge smokers, therefore, are more at risk of high blood pressure. Additionally, second hand smoke can also increase blood pressure. Limiting alcohol intake. Excessive drinking has been linked to high blood pressure. By limiting alcohol intake to one or two glasses, heart function can be improved. Avoiding stress. Stress has been observed to temporarily increase blood pressure. However, if chronic stress is experienced, blood pressure will remain elevated. Identify possible stress triggers and try to fix them or if that’s not possible then just try to avoid them. Aside from high blood pressure, patients who take Symbicort also experience difficulty in breathing. This can be remedied by taking steam baths. The warm steam alleviates nasal congestion and airway irritation associated with asthma. This could be because of the moisture that steam provides to the lungs. However, not everyone may respond well to this since there are cases where steam baths exacerbate asthma. 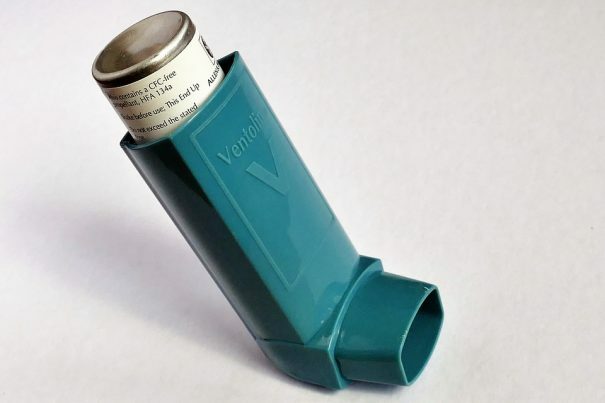 Symbicort is a combination budesonide and formoterol that is used to prevent bronchospasm in patients with asthma and COPD. Side effects of Symbicort may inflict damage on the nervous, respiratory, cardiovascular, gastrointestinal, musculoskeletal, metabolic, and endocrine systems. Asthma and high blood pressure induced by Symbicort can also be treated by natural treatments and other home remedies.